By Dakota, March 31, 2016 in Join Here! Welcome stranger! I am very happy to see that you have made it this far. You've taken the time to not only visit our site, but read this post and learn more about us and for that I am appreciative. My name is @Dakota, the founder of this group I call SPARTAC. 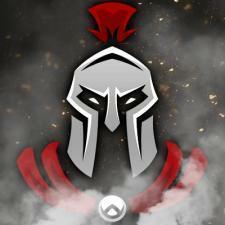 This informational post has been written in an effort to provide you as well as other potential applicants and curious readers such as yourself a more thorough understanding of what Spartan Tactical is intended to be and the experience we hope to provide those who wish to join our community. First, perhaps it is best to start with what SPARTAC is not as to avoid wasting any of your time. SPARTAC is not a milsim group. We do not operate with true-to-life ranks, policies, procedures, protocols, responsibilities, etc. We do not enforce mandatory attendance or have mandatory gaming nights. We do not specify what role you must play or what loadout you must carry while playing it. We do not force you to wear certain pants with a certain vest. We do not expect you to blindly obey the leadership as if we are Gods nor do we expect you call us Sir. We do not require you to be put through training or jump through hoops to join us. Spartan Tactical Group (SPARTAC) was founded as a PC/ARMA based spin-off of a console-based clan, of which I have been a member for over a decade. SPARTAC intends to channel the vision and purpose of that clan in our growth, which includes making it our mission to provide a laid-back, casual, relaxed experience for all with an emphasis on finding good people to play games with first and foremost. Everything else comes after. The requirements for joining are simple, we do not ask much of you and we expect very little in return. SPARTAC aims to become more than a simple group, we hope to build not only a team, but a community of gamers who can call each other friends. We hope that together, with your help, we can achieve that goal. SPARTAC has been based on a private military company, first and foremost, because it provides an interesting dynamic with which we can operate and allows flexibility in the brand we employ. It is important to be clear that the PMC aspect of SPARTAC is solely for appearances and fun and that being a member of this "PMC" group does not mean you will not see us playing beyond our scope when we choose to do so. I.E. utilizing advanced air/ armor assets in game and so on. 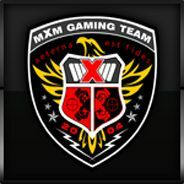 For the sake of "the story," being based on a PMC allows us that room to flex and bend rules to fit our informal, laid back style in addition to allowing us the diversity of our membership that we encourage amongst the group. Otherwise we will play the game as it is intended to be played. That being said, we do intend to ham it up a bit with custom built missions geared towards the PMC role and will structure our community with some fun references to being a PMC where can. While SPARTAC is very laid-back and casual, we do enjoy getting tactical as well. Tactical can be defined as "of, relating to, or constituting actions carefully planned to gain a specific military end." For us this means three things; we communicate, we work together and we play the objective. Simple as that. We are happy to provide ancillary experiences to enhance this including, but not limited to, a brief orientation, simulated training, recommended responsibilities of designated roles, suggested uniform and equipment loadouts per mission and so on. But at the end of the day, our one and only true purpose is to ensure we are all having a good time while doing it. I chose the name Spartan Tactical Group with a few different inspirations/influences in mind. The structure of the name, Spartan Tactical Group, was directly influenced by other actual PMCs in operation including the RSB Group and Control Risks Group. The "Tactical" quite obviously is in place to emphasize that while we are all about the relaxed requirements and play styles, we also do enjoy employing tactics in our games too from time to time. And finally, the most obvious reference: Spartan. The city-state of Sparta and her warriors need little introduction, nor explanation, however if you are interested you can read more here. And that, in a nutshell, summarizes the mission and intent of Spartan Tactical. Thank you for taking the time to learn more about us. We hope you'll consider joining our team and as we grow, we hope you'll be proud to be called a Spartan and come to think of your fellow Spartans as a second family. Go To Topic Listing Join Here!